Mumford & Sons came round to our house to record a live session before their sold out Queen's Hall gig in March 2010. Toadcast #117 – Mumford & Sons Toad Session. Audio clip: Adobe Flash Player (version 9 or above) ... wait a sec. the ship sinks in the ‘Titanic’? ... listen free to Mumford & Sons: I Will Wait, ... 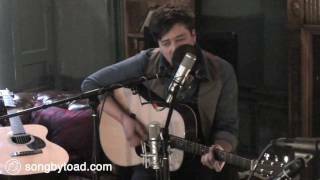 The band consists of Marcus Mumford (lead vocals, guitar, ... (Daytrotter Session) 3. ... listen free to Mumford & Sons: I Will Wait, ... The band consists of Marcus Mumford (lead vocals, guitar, ... (White Lies Cover Live Acoustic Session Version) 40.